In India we have so many life ceremonies! Every Hindu goes through or is supposed to go through 16 important ones and dozens of lesser ones. So one attends one’s own and gets invited to those of others – neighbours, cousins, uncles aunts, people originating from the same natal village, their cousins, their uncles, their aunts, their neighbours and so on. And if one is fortunate one is surrounded by some Muslims and some Christians too – so we get invited to their ceremonial celebrations as well. And so in my days in Mumbai I might easily be attending ceremonies on 366 out of the 365 days in a year! Okay – that’s an exaggeration ….reality might be say 365 out of 365. Well at least it feels that way! Ceremonies begin at the time of betrothal. Engagements, pre-wedding ceremonies, weddings, when the bride leaves for her husband’s home, when she first returns from her husband’s home, when they arrive to take her back again, when the baby is about to be born, when the baby IS born, when the baby’s destiny writers from heaven are called, when the baby is given a name, when she is given her first morsel of food, when the baby begins her education, when she graduates, when she …..
And so attending ceremonies of one’s immediate family, one’s extended family, one’s neighbors and one’s village can actually be a daily calendar event. And therefore the corollary is that the clothes I wear to these ceremonies, are in fact ceremonial clothes. 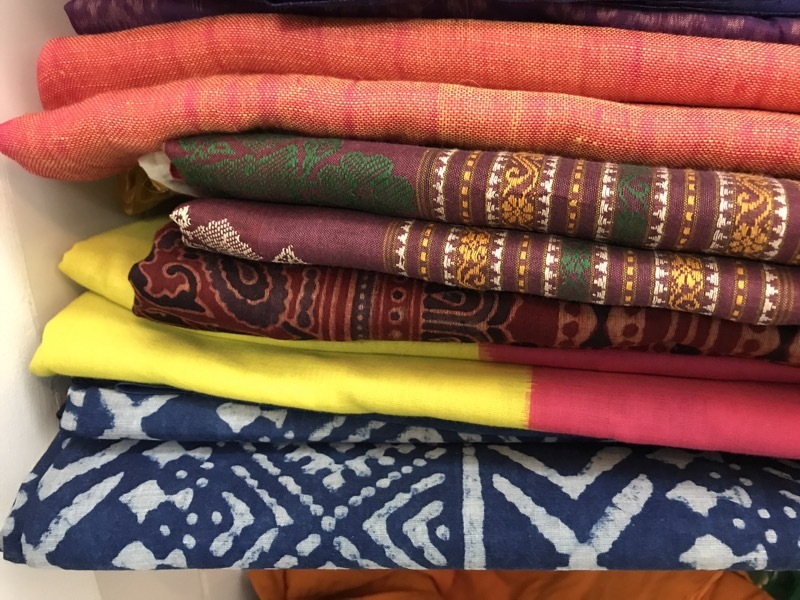 A little silk or special fabric or a little glitter or a special time-consuming weave or other form of textile art/craft… something extra, something-special, something that makes it stand out and we have created the ceremonial textile – the textile fit to celebrate a ceremony or a festival! Further, the concept of “fashion” and “season” does not apply to classic saris (or traditional clothing) . A Kanjeevaram from the last season? 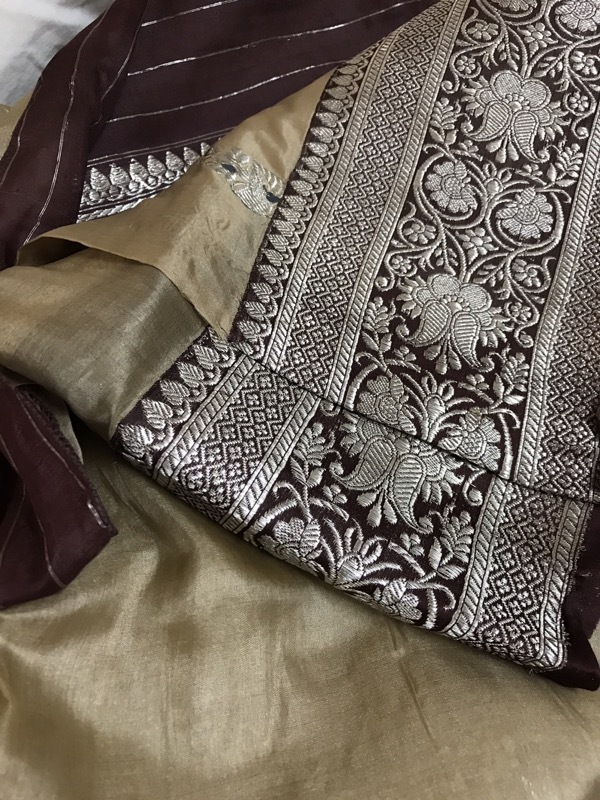 A Banarasi that is not in fashion anymore? Never heard of this and so I still don’t understand the concept of ‘out of fashion’. There is no need to retire them ever. Each earns a permanent place in the wardrobe that just expands over the years …. As life passes and hands us memories to collect, these ceremonial textiles become the hooks that fish out these memories. 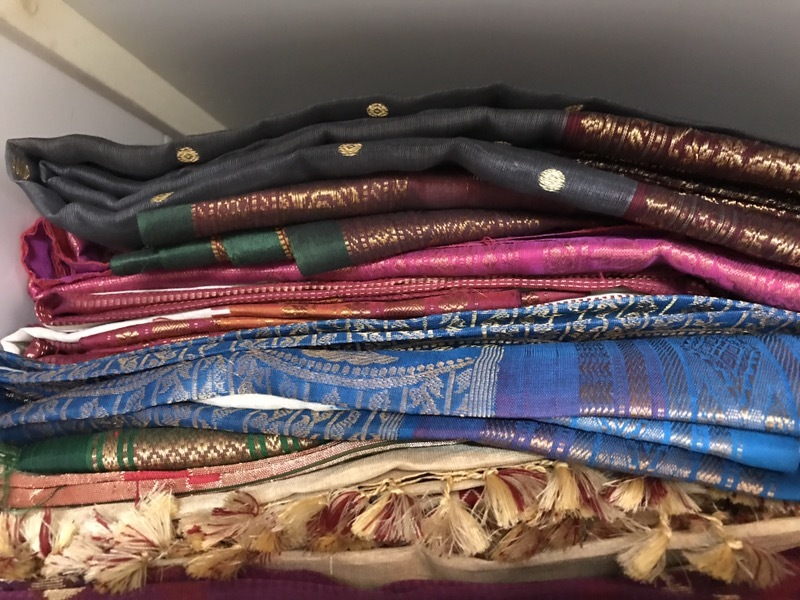 And so peeping into my ceremonial sari shelves warms my heart – not just for the beauty of the art but because of all the stories I have lived in them. Each one tweaked out carefully and revisited with the mind’s eye. 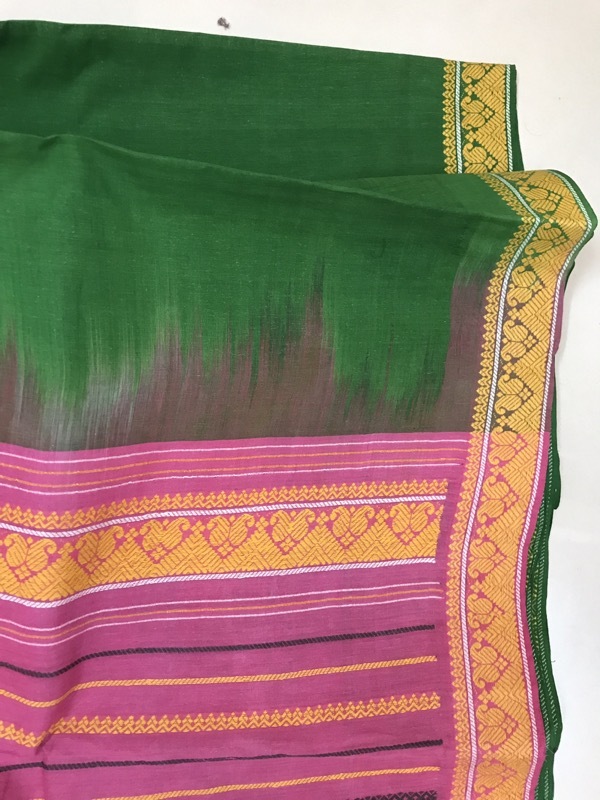 It all came back through that textile – the emotions, the people and some conversations, the scenes of ritual activities, the significance of the moment weighing down the picture and most importantly a whiff of the fragrance of the girl I used to be in that moment! Such a beautiful time watching the movie of one’s own life….with all its tragedies and joys and deep experiences. 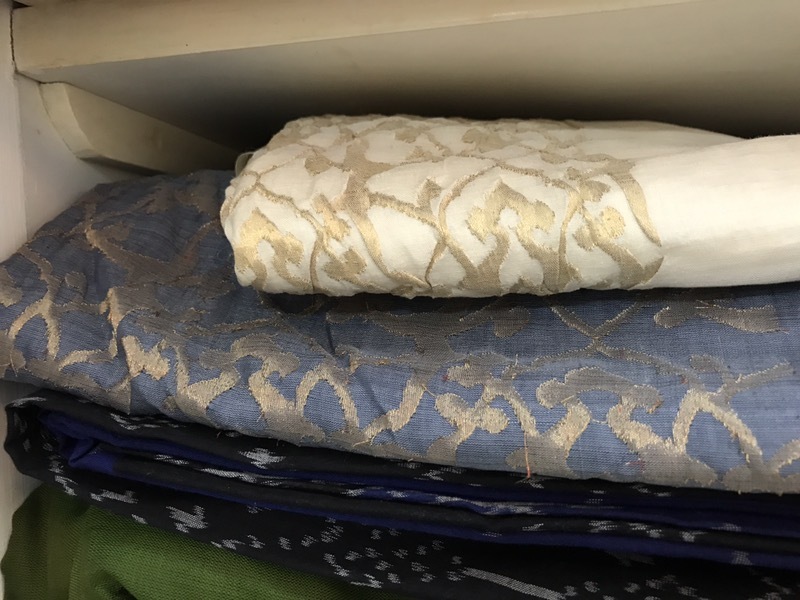 All brought to me – not by 20th Century Fox but by 20th century saris! 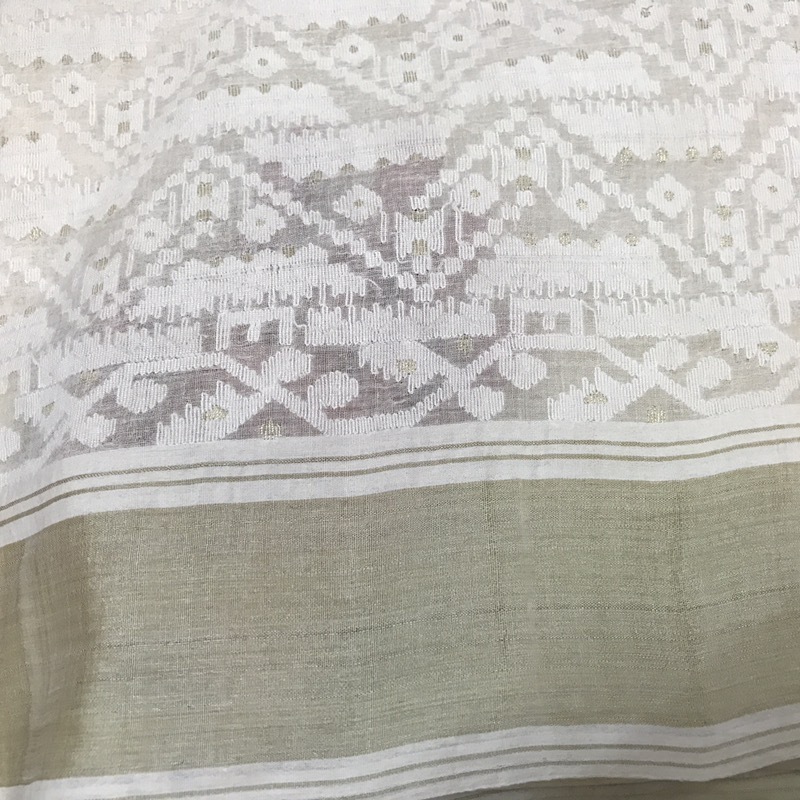 Here’s the first sari I bought with 1/3rd of my Unilever salary in 1987. It created a havoc with my monthly budget – probably had to walk instead of taking the bus and skip a few vada-pavs – but it was well worth it – that classic is still as stunning (and sturdy) as it was then. 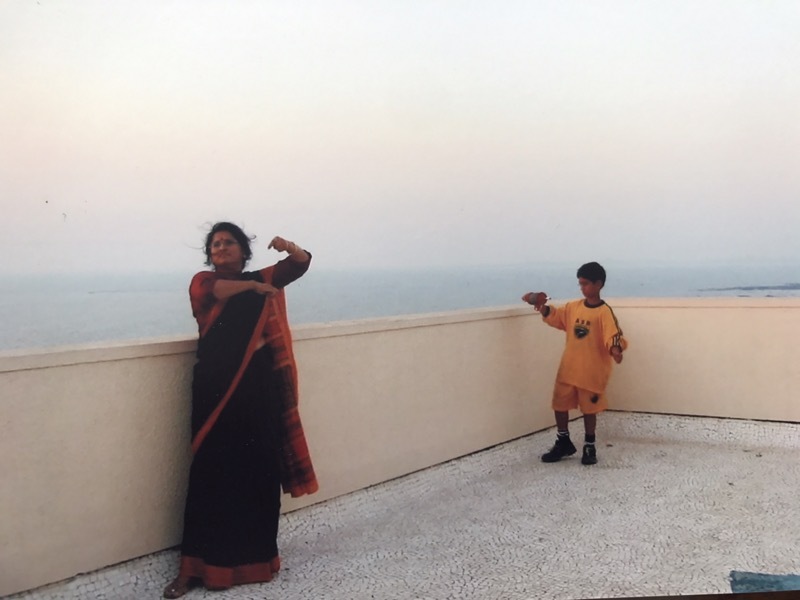 The sari connected to the Kite Flying festival in our Bombay home in 2005 with brat #3 (now 21 years old!!!) assisting. 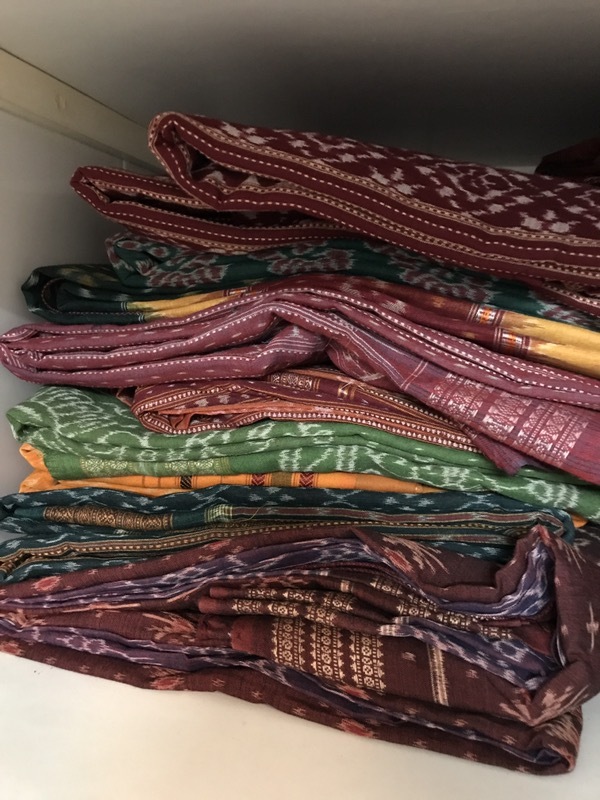 The treasured Odisha Ikats worn daily in India ..
And another I inherited one from my grandma – did not know they were fans of Lion King back then! And finally the white Jamdani worn on a very sad day dedicated to my grandmother! 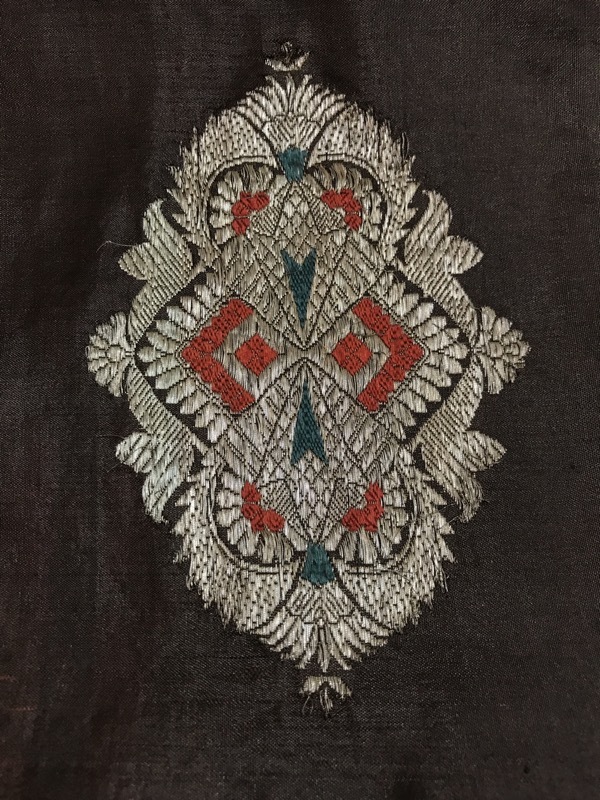 And these ceremonial textiles become all the more precious – not because of the warp and weft and the gold woven in – but because of the memories woven in . Early morning reminiscences after basking in the deep beauty of things that have lived and loved with me for the past few decades! 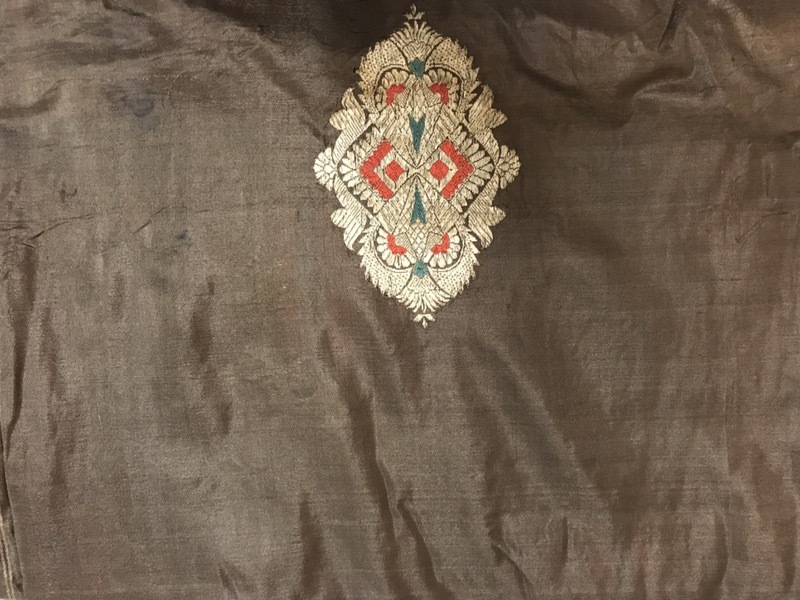 This entry was posted on March 13, 2018 by wovensouls in Art Kaleidoscope, Culture Kaleidoscope and tagged art, ceremonial, CEREMONIAL TEXTILE, ceremony, culture, heritage, inherit, legacy, life, love, memory, perspective, reminiscence, sarees, sari, sentiment, Thought, treasure, view, vintage, wisdom.